1932-53 Ford V8 Accessories and gifts. 1932-53 Ford V8 body parts, spares, door parts, lacing and welting, mirrors, hood, pickup cab, pickup bed. 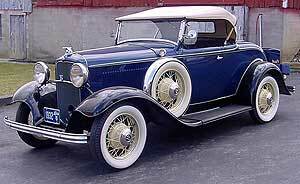 1932-53 Ford V8 Front & Rear Axle parts, Spindles, Tie Rods, Radius Rod, Axle bumpers, Springs. 1932-53 Ford V8 Brake parts & spares, Hot Rod Linoln Brake kits, Brake drums & hubs, Wheel bearings, Brake linings, Brake rods & springs, Master cylinder, wheel cylinders, brake hoses, Brake light switch, Handbrake parts, brake seals. 1932-53 Ford V8 Clutch & Transmission parts & spares, Clutch disc, clutch pedal, clutch pressure plate, pilot bearing, thrust bearing, Gearbox bearings, gears, shifter, transmission gaskets, oil seals, gear lever knob. 1932-53 Ford V8 Cooling system parts & spares, Radiator, Hoses, Overflow Tanks, Radiator Shell emblems, Water pump, pulleys, fan belt, Heater hoses, rebuild kits. 1932-53 Ford V8 electrical parts & spares, Battery, Clock, Generator, Heater, Horn, Starter, Temp guage, Wiring, Windscreen Wiper, voltage regulator. 1932-53 Ford V8 Engine parts & spares, Engine mounts, Gaskets, Pistons, Valves, Bearings, Connecting Rods, Camshaft, Crankshaft, Oil Pump, Timing Gears. 1932-53 Ford V8 fuel system parts & spares, Fuel Tank, Fuel gauge, Carb, Fuel Pump, Stromberg parts, manifold gaskets, fuel lines, choke & throttle, Gas cap, sediment bowl. 1932-53 Ford V8 Ignition parts, coil, distributor, points, rotor, condenser, spark plugs, ignition switch, vacuum lines, resistors. 1932-53 Ford V8 light parts & spares, Headlamps, Tail lamps, cowl lamps, turn signals, licence plate parts, light sockets, lenses, screws and brackets. 1932-53 Ford V8 wheel parts, Wheel nuts, Hub Caps, Trim rings, Baby moon caps, beauty rings.